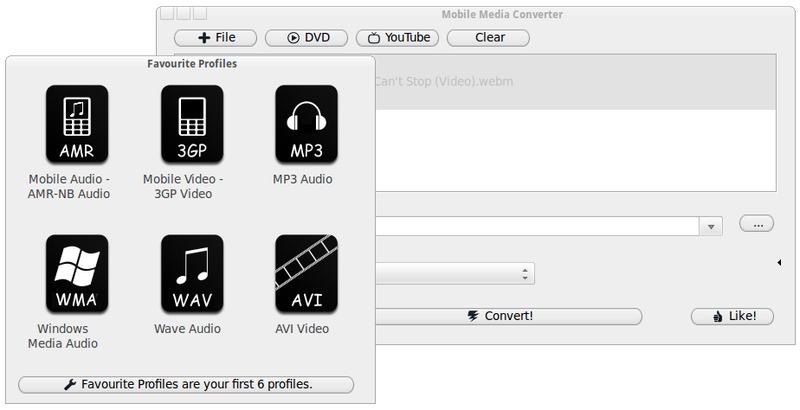 Mobile Media Converter - One media converter to rule them all. 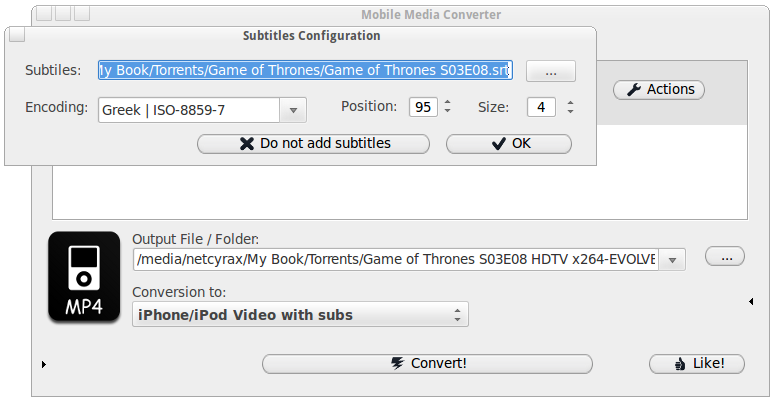 one media converter to rule them all. The program has a very easy-to-use and simple GUI (Graphical User Interface) that helps even the most amateur user. Most of the times, the only data that you must enter is the input file(s) or just drag 'n' drop the input file(s)! 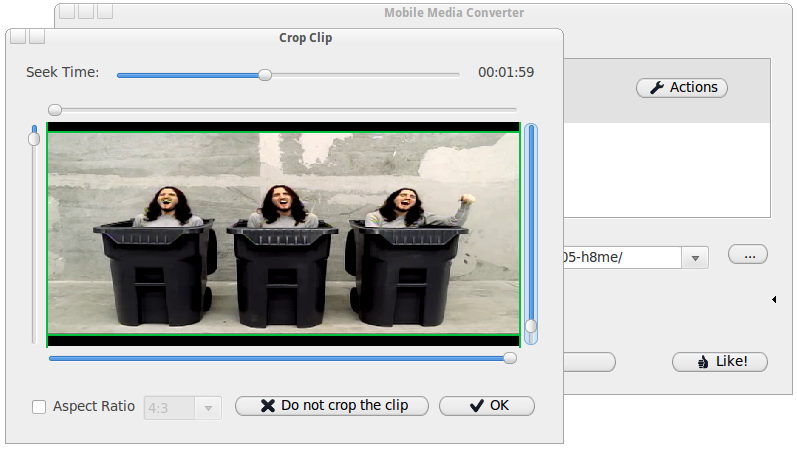 The 3GP and AMR formats are used by mobile phones for MMS, video and sound recordings, etc. Our Mobile AMR converter and Mobile 3GP converter have been replaced by Mobile Media Converter. All the converters you will ever need. Able to read almost anything, it can be transformed into a powerful and free MP3 / WMA / WAV / OGG / MP4 / FLV / MOV / WebM converter and more. It doesn't matter what mobile device you have. We can get your media ready for your pocket. Browse and find your favorites online clips. 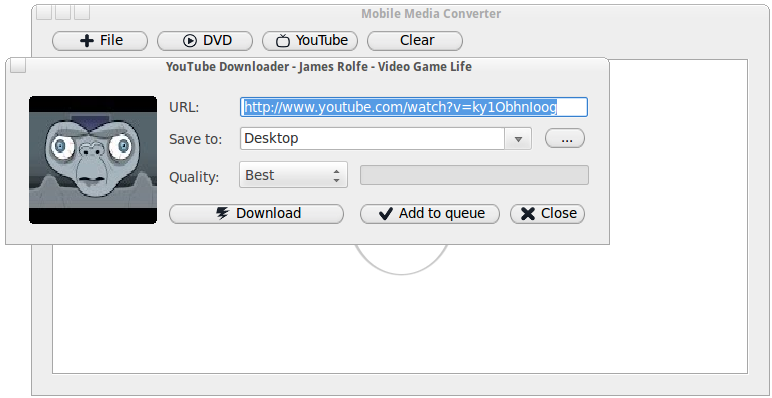 With our integrated downloader you will never need an external downloader again. Only the part you want. 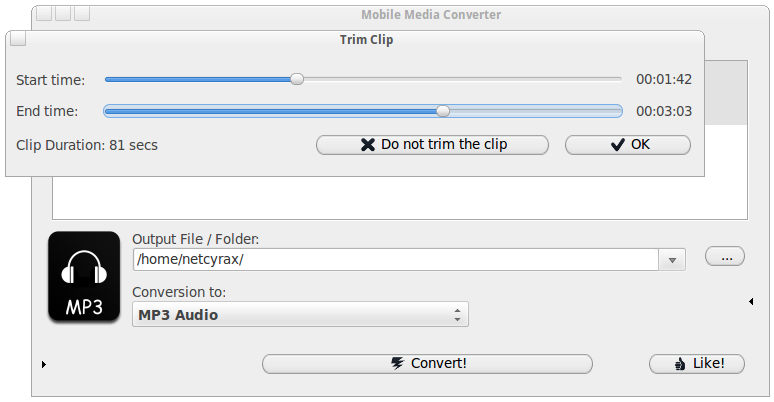 Trim your video to save time and space from your media device or make a ringtone with only your favorite part of your song. Visual and as easy as it gets. No need to worry that your favourite device does not supports subtitles. 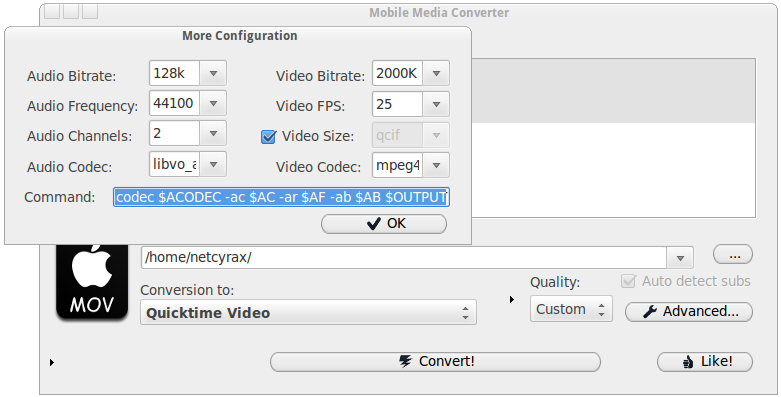 Drag and drop your video files and their subtitles on Mobile Media Converter. Problem solved. Your DVDs, always with you. Enjoy your own DVDs with the desired subtitles anytime, anywhere on your mobile devices. No experts needed for this task anymore!